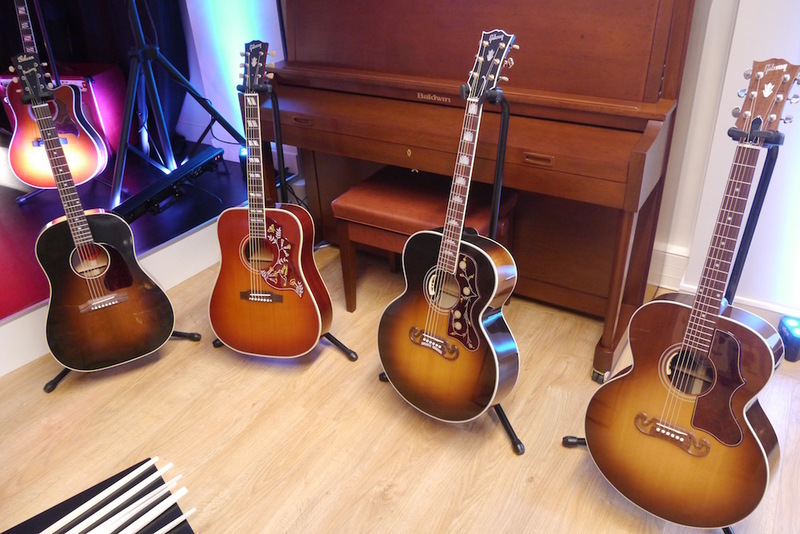 Yesterday I had the pleasure to spend the afternoon in the private showroom of Gibson France to discover the 2016 range of acoustic guitars from Gibson. 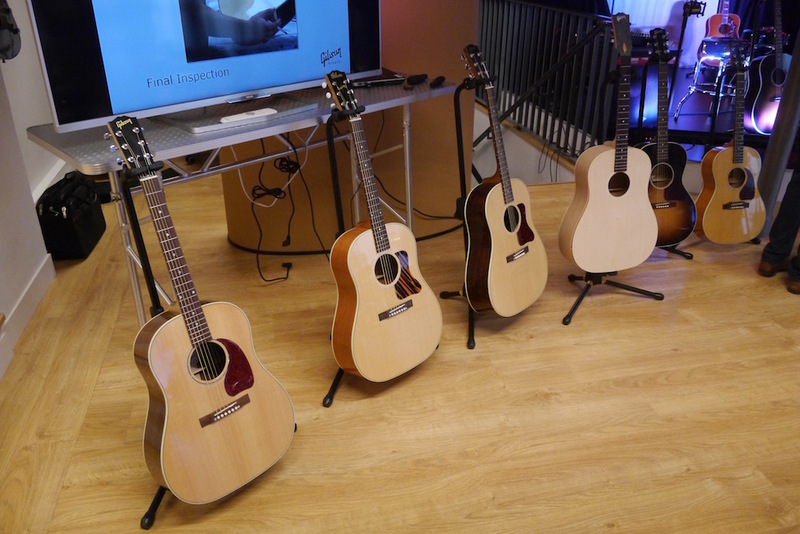 For this event two people from the US Acoustic Division were present, Josh Taborski (General Manager) and Jeremy Morton (Product Specialist), see the interview below. The signature model is truly a magnificent instrument. I tried to play it for a couple of minutes and did not enjoy the acoustic sound that much. The amplified sound was pretty cool though. 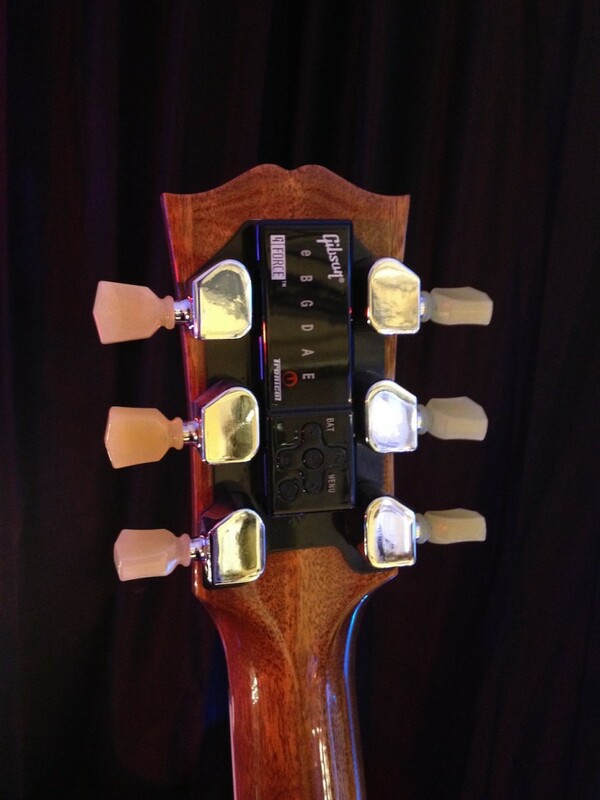 Yes there is one guitar out of the 23 models of the 2016 models equipped with the dreaded G-Force system. Do we take the bet that it will go away next year? It's always interesting to meet and interview the people actually working at a prestigious brand like Gibson. Of course you know you will get some highly formatted corporate style response but after a couple of questions, you usually get more open questions. You let me know what you think of the full interview below with the General Manager (Josh, on the left) and the Product Specialist (Jeremy, on the right). 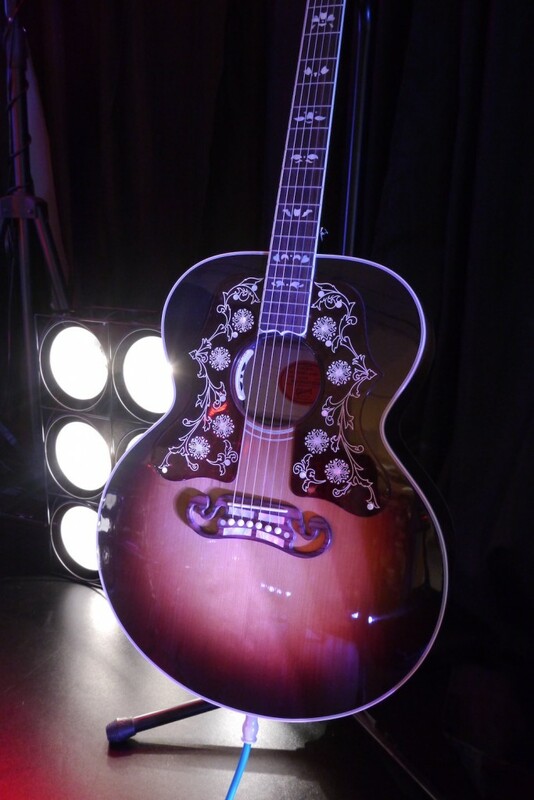 Even though I admit I am far from being an expert in the acoustic guitar world, I was pleasantly impressed by the overall quality of the guitars presented. 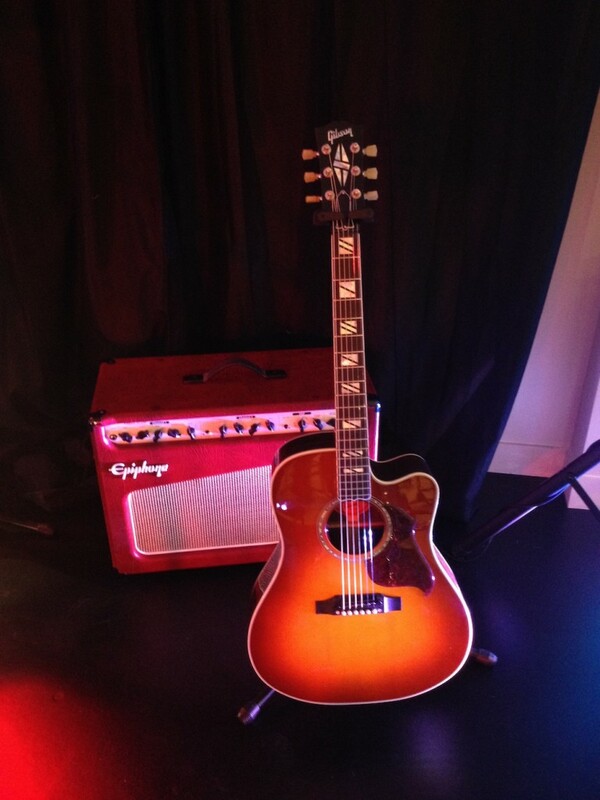 My favorite is the so called "Workhorse" the J-45 which played and sounded great. The Vintage version of this guitar with the thermally processed top also sounded great but I did not get the opportunity to play both models side by side to really compare. 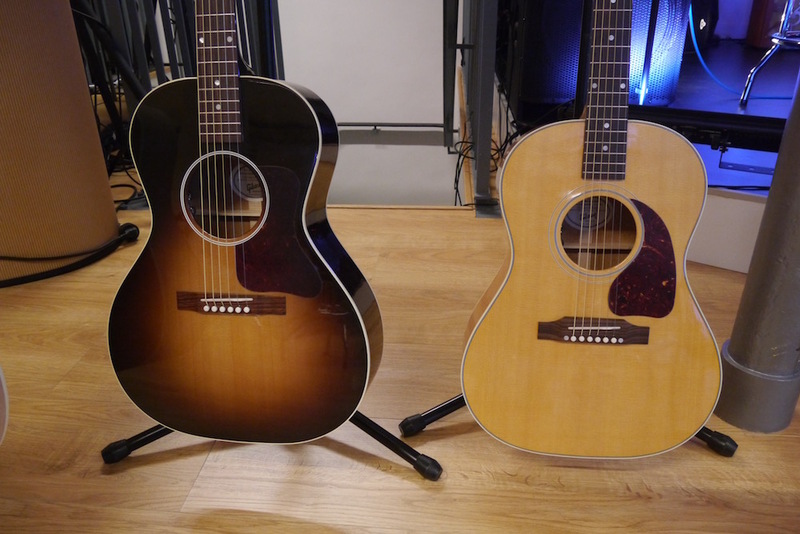 Regarding the J-200 Bod Dylan model, the instrument in itself is magnificent but I was not to fond of the acoustic sound. It's probably a matter of taste but especially after playing the J-45 I founded the J-200 way too bassy. On the other hand he amplified sound of the Bob Dylan model was awesome with the custom developped LR Baggs system used on the guitar. Until the next article, keep on playing the guitar!